The Winger Group is presenting the 2016 Oaks & Derby Festive at Alexandra Park, from 4 to 11 March. The festival is centred around two exciting nights of the very best harness racing in the country, but this year organisers are also focused on delivering a significant fashion event. Tickets are now being sold for the inaugural Fashion At The Oaks event at Alexandra Park on Friday 4 March. At $75 per person, the evening includes a two-course dinner, a complimentary glass of Mumm Champagne on arrival, a complimentary goody bag and much more. While wining and dining, ticket holders will be able to enjoy the latest fashion from leading New Zealand designers. The autumn collections of Adrienne Winkelmann, Adrian Hailwood, Sabatini, Tanya Carlson, Yvonne Bennetti, and Zambesi will be shown in style between races on Oaks Night in the Tasman Room. “This will be a truly unique experience. In between the fashion shows you’ll be able to enjoy the battle on the track below, including the Group One Pascoes The Jewellers Northern Oaks. The Tasman Room is prime viewing with floor to ceiling glass windows which offer a great vantage point of the winning post,” says Alexandra Park chief executive Dominique Dowding. “This year at Alexandra Park we’re matching the elegance of racing with the beauty of fashion. Fashion At The Oaks is all about embracing style and we’re really excited we’re able to showcase the new autumn collections from such respected fashion houses,” she says. Hospitality packages for Oaks Night also include a fabulous Top Of The Park experience. The following Friday night – 11 March – is Derby Night, with the big race being the Group One Woodlands Stud Derby. Exciting packages are also available that night in the Tasman Room, Garden Entertainment Bar, and Top of the Park. “On Derby Night give your guests a premium dining experience in Top of the Park, or gather your friends and enjoy a full night of fun from a specially created new garden bar trackside. Stages will be set for you to enjoy a live performance by Jupiter Project throughout the evening. The Garden Bar package is sold as tables of four guests and includes an antipasto platter and a bottle of bubbles on arrival and access to the after party with DJ entertainment. It’s great value and is set to be a lot of fun,” says Alexandra Park Sales & Marketing Manager, Joel Reichardt. Long-time New Zealand-owned and operated company The Winger Group is delighted to be the headline sponsor of the 2016 Oaks & Derby Festival, says its General Manager Steve Hilson. 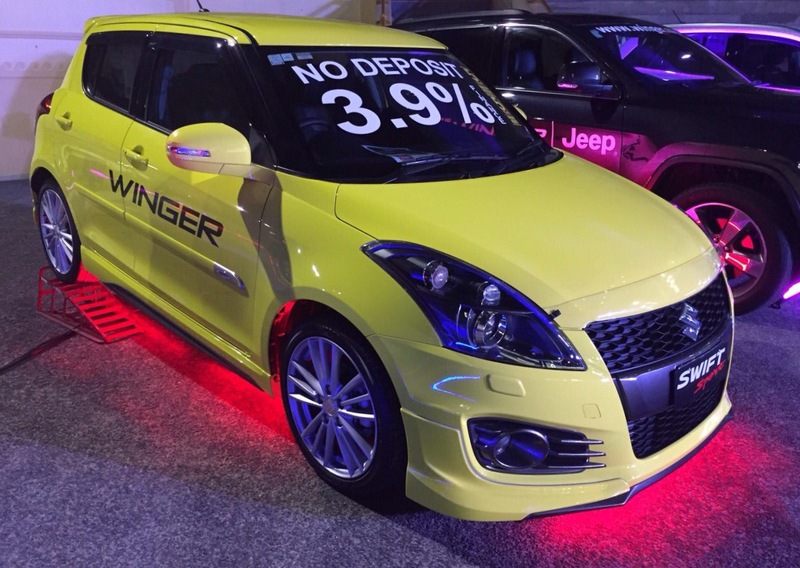 Winger has a number of vehicle dealerships and is the largest Subaru and Suzuki retailer in the country, as well as represents brands Chrysler, Dodge, Jeep, Hyundai, Isuzu, Fiat, Alfa and Kia. “There are some great synergies between the exciting direction Alexandra Park is taking and who Winger is trying to reach. Our target markets align really well and both Alexandra Park and Winger are about constantly evolving and staying competitive and relevant. “This festival and our brands are both young and aspirational and we’re so excited about the commercial partnership we’ve signed with Alexandra Park for the next few years,” says Mr Hilson. “This festival is a significant week for the Auckland Trotting Club and it sits perfectly alongside our collective vision for the urban village which is about promoting great design and a creating a wonderful atmosphere. We’re confident that many people during the festival will also take a real liking to the apartment offering in Alexandra Park’s urban village,” says Jeff Davidson of Colliers International.